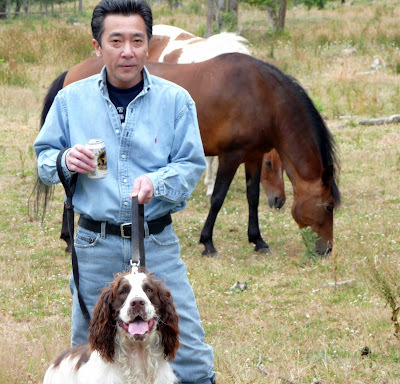 Long before the economy headed south, Yutaka and Anita Saito, owners of Saito’s Japanese Cafe & Bar, were hatching plans to blow out of Belltown. And this week, after nearly a decade in business — a time marked by an explosion of Japanese restaurants within walking distance of their popular sushi bar — they did just that. On July 3, in time to celebrate Independence Day, Yutaka rolled his last maki, sliced his last piece of aji and closed up shop. Tuesday, he and his wife sealed the deal on a sale, turning their keys and the contents of their restaurant over to a 25-year-old former wireless-communications guy — who plans to turn the place into V-Bar, an Asian noodle bar and lounge set to open in a few weeks. And with that, one of the Pacific Northwest’s most talented sushi chefs was put out to pasture. If I wasn’t so thrilled for Saito, who has long harbored dreams of opening another far more intimate and elegant Japanese restaurant in Seattle (and expects to someday do so), I’d be personally devastated. 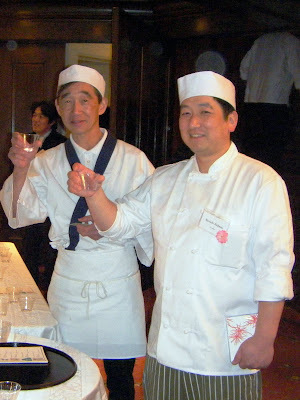 After all, this is the man whose sushi bar has been my personal omakase mecca for years. Saito, who began his apprenticeship in Japan at 15, doing the voodoo that he does so well. 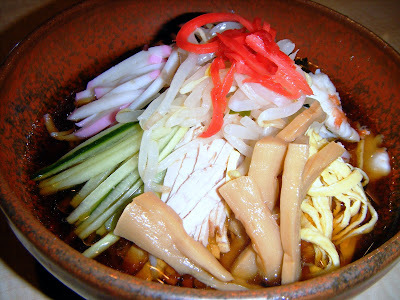 What could be better after a hot night of conversation than Saito’s cold noodles? Nothing. Last year they were approached by the owner of I Love Sushi, who, knowing the restaurant was up for grabs, tried to lure Yutaka to come work up the street at Seattle’s most revered sushi bar — Shiro’s. 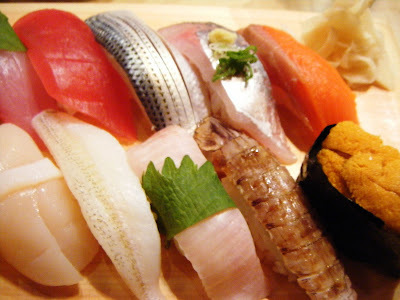 Which (deep breath here, since this is not common knowledge) was quietly sold to the owner of I Love Sushi about two years ago, though Shiro-san remains at the helm behind his eponymous sushi bar today. Seattle’s most revered sushi chef, Shiro Kashiba (left) lifts one with Ryu Nakano of Kisaku at the official residence of the Japanese consul. He’s looking forward to a trip to Japan, as well as one to Las Vegas, where he hopes to take in a boxing match. Saito’s a big fan of both boxing and the martial arts, passions he’s harbored since childhood. In an interesting twist of fate, he first studied the craft of cooking for ryotie before switching his focus to sushi, because the restaurant where he apprenticed in the art of sushi-making was closer to his gym. Lately, he’s been putting his head together with Mistral chef William Belickis — who regularly sat at Saito’s sushi bar at lunch (while I sat, unrecognized, two or three stools away from him). 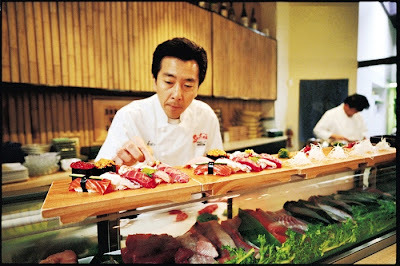 And perhaps we’ll see Saito at MistralKitchen when it opens downtown this fall. “He wants to learn how to do French food from William,” his wife explains.